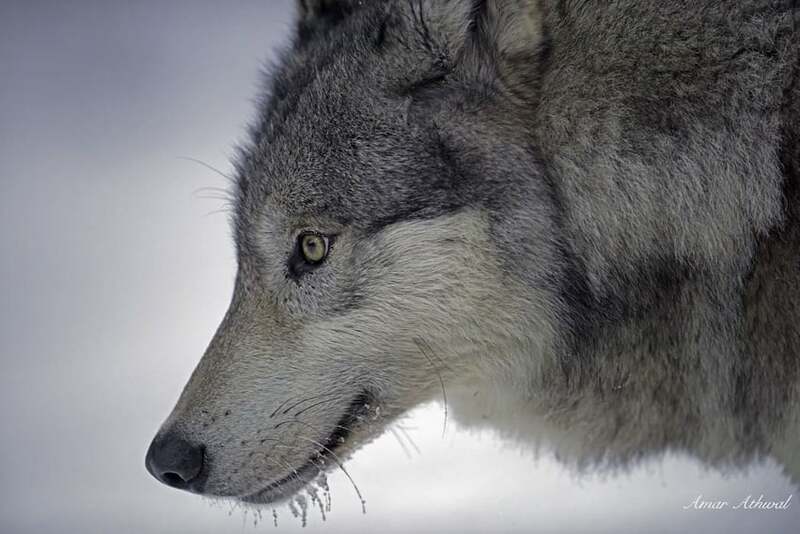 This is a close-up of a wild alpha female gray wolf, she and her best friend the alpha male share the responsibilities of looking after their pack and the place they call home. They like to rest during the day and hunt when daylight is not providing a advantage to their prey. Are always on the move, to mark their territory but also looking for food. If they are able to bring down a adult elk or a moose, they will hang until the kill is consumed over few days. There is one other time the pack or part of a pack stays in one area, it's when the alpha female is giving birth. She will control the den site and be very protective of the pups, even from the members of her own pack. So it's no wonder the pups form a very special bond with their mother, a bond that continues beyond the weeks spent in and around the den.